Northern Ireland is a region of scenic beauty, rich culture and Celtic charm – but its recent history has been marred by political tension, sectarianism and terrorism. Between 1969 and 1999 the world watched in despair as Northern Ireland was wracked by unrest and violence that bordered on civil war. This three-decade period is euphemistically referred to as ‘the Troubles’. Trouble had in fact been brewing in Northern Ireland for generations. Conquered by the English and divided in 1920, Ireland’s historical wounds had never fully healed. Northern Ireland evolved into a self-governing member of the United Kingdom. Its population, however, was strongly divided along political, economic and religious fault lines. On one side stood Unionists and Loyalists: Protestants who identified as British and were determined to maintain British sovereignty over Northern Ireland. On the other side were the Nationalists, a Catholic minority who had endured decades of political and economic discrimination. These sectarian divisions were a potent recipe for conflict and disaster. The origins of the Troubles can be traced back to the civil rights movement of the mid to late 1960s, a push to obtain fair and equal treatment for Catholics. The first significant violence erupted in the city of Londonderry, known to locals as Derry, in 1969. Sectarian rioting in Derry quickly exploded into a fully fledged street war, dubbed the ‘Battle of the Bogside‘. As the situation worsened, British troops were landed in Belfast to help keep order. The Troubles took a turn for the worse in January 1972 after British paratroopers opened fire on protestors in Derry, killing 14 civilians. 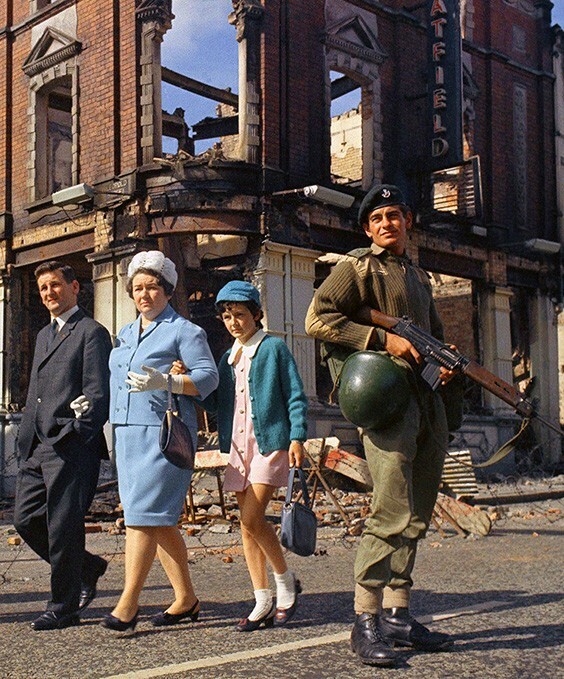 By mid-1972, Britain had suspended the Northern Ireland government and deployed 20,000 troops in the troubled region. These developments triggered rapid growth in the newly-formed Provisional IRA, a Republican paramilitary group that aimed to drive out the British and make Northern Ireland ungovernable. More than 3,500 people, most of them civilians, would die before peace was restored in 1998. The Troubles in Northern Ireland are an intriguing example of modern sectarianism and post-colonial conflict. Studying this period provides a solid foundation in historical and political concepts. Alpha History’s Northern Ireland website contains detailed overviews of significant topics, primary sources such as images and documents, as well as useful reference material like timelines, glossaries, biographies and a range of online activities. We welcome constructive feedback, suggestions and contributions about this site – please contact us for more information.